Chicago Fire Soccer Center | AVB Inc. 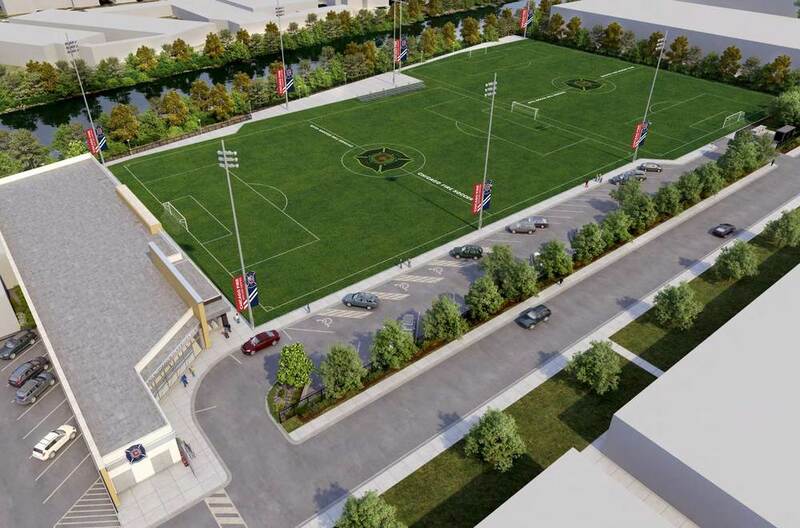 The Ownership of the Chicago Fire and the ownership of the Chicago Fire Soccer Complex hired AVB as its Owner's Representative for the field portion of this downtown Chicago project project immediately adjacent to the Chicago River. 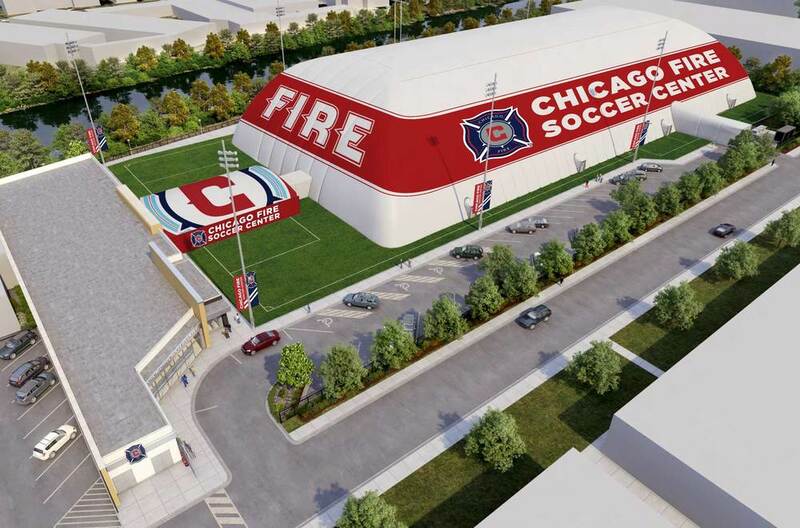 Chicago Fire Soccer Center is comprised of a 14,000 square foot building, 2 outdoor Field Turf soccer fields, and a seasonal inflatable dome that covers the fields from Thanksgiving to Memorial day each year. A key component is the 6’ – 3 ½’ grade beam anchors the inflatable dome and is connected to H piles which extend another 35 -40 sq. ft. below the grade beam in order to resist any uplift force. The grade beam is covered in the summer, when the dome is removed, with a protective unit in order to allow the turf to be rolled out on top and to utilize the full space of both fields. The completion of this project allowed more access for youth and adult soccer players in the downtown area, as well as a second location for the professional training of the Chicago Fire MLS team. The complex is the first inflatable dome structure approved inside the city of Chicago. The relationship with Field Turf, the synthetic playing surface manufacturer, allowed us to work with the latest and greatest play field surfaces, and will translate well for the public school and university clients we work with regularly. The Chicago Fire Soccer Center not only improved the lives of the soccer enthusiasts of the downtown Chicago area, but also the experience gained by our team will benefit future projects and clients of AVB.